For six young African Australian men, a five-year battle that started with a complaint of racial discrimination lodged against Victoria Police, finally ended on Monday. The Haile-Michael case, in which the men alleged police had engaged in racial profiling, was settled by agreement on the eve of an eight-week trial. It’s a testament to the tenacity of the men, who despite years of vehement denials and strident opposition, never gave up in their struggle for justice. They alleged that in the years they were living in and around Flemington and North Melbourne they were subjected to assaults and racial taunts, and were regularly stopped and questioned by police in circumstances where a non-African would not have been stopped and questioned. They claimed racial profiling by police meant individuals were targeted on the basis of the supposed criminal propensity of an entire racial or ethnic group, rather than for any legitimate policing reason. Police denied this. As part of the settlement the men are free to tell their stories publicly using redacted versions of documents that police themselves created. These documents show young African Australian men stopped by police were described in police diary notes as ”criminals loitering in the area”. The facts showed they had never committed an offence. Such notes were later explained as, ”a shorthand term that may have meant that the people concerned had been charged with criminal offences or had otherwise come to the attention of police as being potentially involved in criminal offences”. So a teenager gets branded a ”criminal” in an official police record, not because he is, but because one day he might break the law. Other diary notes were equally revealing: ‘Unable to provide police with reason of why they were there or what they were doing. Nervous in police presence” was an example given by police, for putting the onus on an African Australian teenager to justify being in a public place. In fact, the law puts the onus on police to have a legitimate reason to interfere with a person’s freedom of movement. ”Checked loitering around park bench near basketball court. High criminal area of robberies and assaults. All wearing ‘home boy/gangster’ clothing” was another common reason that we now know was given by police at the time. Notice the young black men did not talk or meet in a street – they ”loitered”. The reality is that too often young African men were stopped, questioned and demeaned because of their skin colour, rather than for any suspected crime, revealing police stereotypes of young black criminals roaming in ”gangs”. 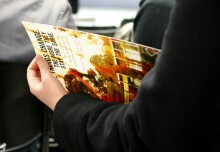 Victoria Police LEAP data from Flemington and North Melbourne (2005-2008) was analysed during the case by an eminent statistician, Professor Ian Gordon, from the University of Melbourne. The results showed young African people were about two-and-a-half times more likely to be subject to an arbitrary ”stop and search” relative to their numbers in the area. The justification given for such policing rests on their supposedly high representation in local crime statistics. 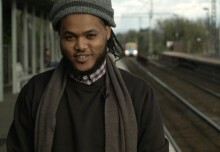 Yet Professor Gordon found there were fewer offences but markedly higher ”stops and searches” among young African Australians compared with others. While there is clearly a minority of Victoria police members with overtly racist attitudes, just as there are throughout society, the overwhelming majority are not. Even so, the ”bad apples” theory does not explain the subtle, systemic discrimination, based on unthinking and irrational responses to the challenges that a multicultural society poses; a product of poor or inadequate training. So what lesson can we take? Police must be specifically trained not to use racial profiling, and those who engage in it should be disciplined. 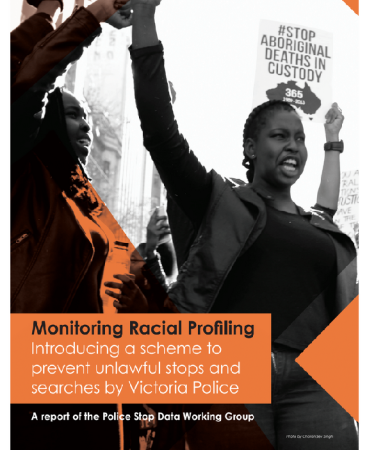 It must be identified through statistical collection, a stop and search receipting system, and Victoria Police must develop procedures to respond to racial bias. We are part of the legal team that represented these men, largely through pro-bono contributions by our solicitors and counsel – a commitment that runs into millions of dollars – because we believe in the importance to civil society of supporting their struggle. We can only imagine the costs to the public purse of the Victoria Police’s lawyers, including two large law firms, three senior counsel and at least four junior counsel. In the agreed statement read into court yesterday, Victoria Police effectively acknowledged that a 2006 review of Police/African relations in Flemington had failed. The good news is Victoria Police have agreed to an inquiry into the way checks on people are conducted and cross-cultural training. The public will be invited to participate. Despite laws against racial discrimination, it is often difficult to prove racism. Unless racial profiling by law enforcement agencies is specifically made unlawful, as it is in other countries, cases such as the long-running Haile-Michael matter may arise again. By the end of the year we will have a report on the results of the Victoria Police examination, and an announcement of what action will be taken. Time will tell whether this inquiry will lead to systemic change, but there is now cause for hope. The stage is set for Victoria to take the lead and introduce specific anti racial profiling legislation. It’s now over to the people of Victoria to build on the momentum generated by these six brave young men. They deserve nothing less. Peter Seidel is a partner with Arnold Bloch Leibler. Tamar Hopkins was principal solicitor with the Flemington Kensington Community Legal Centre. They both represented the six applicants. So what has happened in the five years since this historic case? Victoria Police become the first police force in Australia to officially define and prohibit racial profiling by its officers. Police training at the Academy now includes implicit bias. (We believe that this needs to be far more robust). 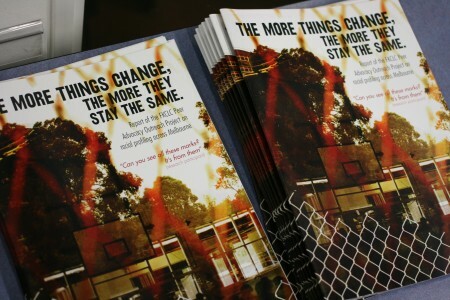 In 2015, Daniel Haile-Michael and Maki Issa (who were later awarded the national Youth Human Rights Medal) conducted research and produced the More things Change Report which found that discriminatory policing was still prevalent throughout metropolitan Melbourne. 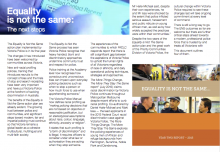 We are still working hard to ensure that Victoria Police sticks to all of its commitments on its own Equality is Not The Same report, particularly the open and transparent monitoring of police stop and search data. We still receive numerous, regular and often horrific reports of racial abuse and discrimination by Victoria Police. In the midst of the racialised crime panic we find ourselves in, the need for strong regulatory and legislative prevention of racial profiling is ever more vital.